Article by Niamh O'Connor ©. The upshot is, the author asserts, that writers should actually be studying techniques akin to transcendental meditation over those pertraining to narrative structure. A driver wouldn’t set out on an unknown journey deciding zen was preferable to a map. So should the writer setting out on a new work concentrate on character or plot? Back in Ancient Greece, Aristotle wrote in Poetics that ‘character comes in as subsidiary to the actions’. And yet it’s the character that the readers / an audience will remember after a fictional story concludes – the Miss Marple / Inspector Morse / Hercule Poirot effect. Some of the world’s greatest novelists seemed to resolve the issue by deciding they are flip sides of the same coin. Scott Fitzgerald declared, ‘Character is plot, plot is character’, although Andrew Cowan gave up finding a source for where The Great Gatsby author actually said it in The Art of Writing Fiction, published in 2011. For many writers, though, the genesis is the thing the author needs to say in their story. The very word “story” is interchangeable with the root idea, meaning, moral argument, spark, basic emotion, or at its very essence: theme, according to the Hungarian playwright Lajos Egri. All drama is an argument of theme, Egri asserts in The Art of Dramatic Writing, published in 1946; the character is simply the vehicle to prove the author’s premise. “Plot has been defined by a modern disciple of Aristotle (R.S. Crane) as “a completed process of change”, and the greatest stories of all time prove the thesis. Puzo proceeds to exert enough pressure on Michael to prove his argument. 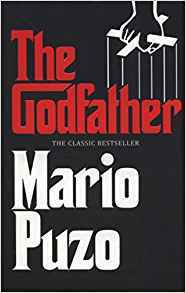 Michael—the decorated war hero, part of mainstream society, the model citizen who despises the mafia—avenges his father Vito, murders numerous people including his own brother-in-law, displaying the ruthlessness necessary to become the new godfather upon Vito’s death. In exactly the same way, Thomas Harris created Clarice Starling as his protagonist in The Silence Of The Lambs. Harris needed Clarice to prove the premise of his book: good triumphs over evil. When we meet her, she is a woman in a man’s world trying to prove herself capable doing a “man’s” job. As a child, Clarice was so full of compassion that she ran away from her uncle’s farm when the lambs were being slaughtered and was sent to an orphanage as a result. Clarice has lost everything because of her empathy. How will she cope when she comes face to face with a serial killer like Hannibal Lecter—someone clinically incapable of empathy? How will this mouse of a woman track down and stop a monster like Buffalo Bill? Ingeniously, makes Clarice’s powers of empathy as her greatest strength. It is precisely when she sees the world through the eyes of the victim, Francesca Bimmel that she cracks the case thus proving the author’s premise. The master of the plot/character—yin-yang—technique was William Shakespeare: Hamlet and Juliet could never have been lovers as Hamlet would have contemplated and dithered for too long. Equally, the impulsive and rash Romeo would have reached for the knife too soon had it been his father that had been murdered. In other words, if Shakespeare had cast Romeo as Hamlet and Hamlet as Romeo, he’d have had no drama. But by pairing opposites and putting a thinking character like Hamlet with a revenge plot, Shakespeare created the greatest play of all time. But where is the crossover between the various narrative forms – the stage play versus the novel versus the radio or screenplay? Read more about Staunch Book Prize here. A woman’s body is found in Ireland’s most notorious body dump zone, an area in the Dublin mountains where a number of women disappeared in the past. The victim is from an exclusive gated development in the suburbs – where the prime suspect in the vanishing triangle cases, Derek Carpenter, now lives. It looks like the past is coming back to haunt the present. But DI Jo Birmingham doesn’t believe the case is open and shut. Her husband Dan was part of the original investigation team; is she trying to protect her own fragile domestic peace? The one person who could help her crack the case, Derek’s wife Liz, is so desperate to protect her family that she is going out of her way to thwart all efforts to establish the truth. Can both women emerge unscathed? 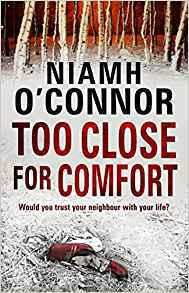 Niamh O’Connor is one of Ireland’s best known crime authors. She is a crime reporter with the Sunday World, Ireland’s biggest selling Sunday newspaper, for whom she has written five true crime books which were given away with the newspaper. Her job, in which she interviews both high profile criminals and their victims means she knows the world she is writing about.